We are proud to offer this 2003 Haines Signature 4000 in immaculate condition. She has comfortable and stylish ensuite accommodation for 2 couples, seating for 7 adults and additional sleeping accommodation in the saloon area. Powered by twin Yanmar 6LYA-ST 370HP Diesel Engines giving effortless cruising at speeds up to 23 knots. 6KVA Fisher Panda generator provides all the vessels power needs quietly and consistently. 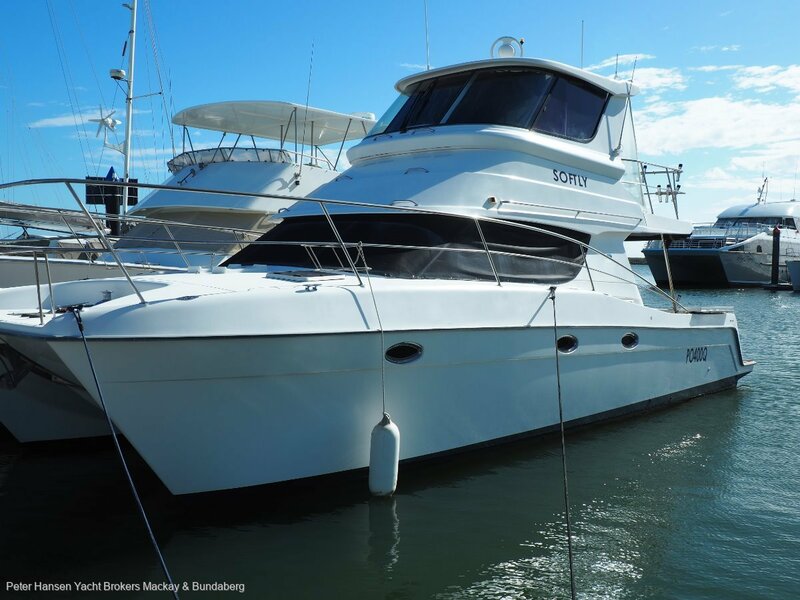 Flybridge, hard top, air conditioning, water maker, cockpit shower and much more. This vessels is loaded with electronics and extras all provided to make cruising, fishing, diving and family time a joy. "Softly" is a must see.